Saturday, On September 24, at Kandavas Kartodroms finished the penultimate 2016 Karting season stages in Latvia. Prizes were distributed in - Baltic Rotax Max Challenge Cup in 6th stage, Latvian Karting Open Championship 5th stage and Latvian Rotax Max Challenge Cup 5th stage. The competition was very fragmented, just like the weather. During the midday in Kandava there was duplication clouds and began to moderate rain, the chief judge gave permission for the free choice of tires. In general, all very well it committed both on the track and outside it, and the day was played so quickly that the Awarding Ceremony champagne could rain the whole 40 minutes earlier than the scheduled agenda. During the final stage it was fought not only in the Latvian Championship titles, but they also cleared the Latvian racers who represent Latvia in the Rotax Grand Final races in Italy, Sarno from 15th to 22th October. Latvian riders who won tickets were - Tomass Štolcermanis, Mikus Jasevičs, Kristaps Gasparovičs, Mārtiņš Steinerts and Iļja Aļoškins, as well as the two Estonian riders who participated in the Latvian Championship - Erich Kuhn Antti Ramm. As well as excellent performances on saturdays cold morning we saw by Kandava Dance school. Sincere thanks to both dashing dancers, that despite the cool weather surprised us, and educator - Sonora Grīnberga and school director Andra Eimane! Congratulations to all the participants with successful wins and concluded stages of this season! Already next week - we will meet on October 1 and will conclude this year's kartingseason as a whole at SK333, the same place where this season was founded. 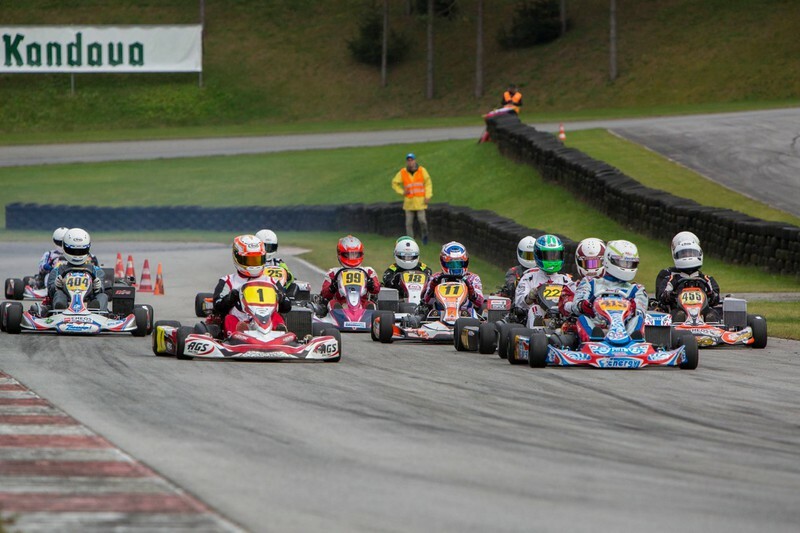 Next Saturday on the track we find the last of the season winners of the Pro-Kart stage 7! We remind you that all the race results, photos and information will be available on our website www.prokart.lv, in "Race". Спасибо Валдису, команде организаторов, судейской бригаде а также всем остальным кто был причастен к этому празднику! до встречи на 333 уже в этот викенд!